Who is Joe Cada? | Joe Cada Bio - Casino Answers! Joe is a young player who has had great online poker success at Pokerstars. However, Joe hit the big time on the live circuit at the 2009 World Series of Poker (WSOP) in Las Vegas. He finished in 64th place in a $2,500 No Limit Hold’em event, followed a few days later by a 17th place finish in a $1,500 No Limit Hold’em event – worth a combined total of $28,216. At the Main event Joe battled alongside over 6000 other runners and found himself as one of the last players remaining, going into the final table as the youngest player. Joe continued his success by winning a 2nd Chance tournament at the 2009 Pokerstars World Championship of Online Poker (WCOOP) for prize money of $128,872. When he returned to Vegas, he took down the Main Event, winning a huge payday of $8,546,435 and the Championship title. At 21-years of age, he also became the youngest Main Event winner in history. Joe Cada was born in 1987 and grew up in Shelby Township in Michigan. He got into online poker around the age of 16 where he shared accounts with his brother Jerome. He was not legally allowed to play, but he did enjoy playing the game and his love of it grew. His first online account was with PartyPoker. He was not legally allowed to play in the United States, but he was able to make the drive north to Canada and pay at age 19. He would play in Windsor, Canada not far from Detroit. He also played online during this time and won entries into tournaments in the Bahamas and Costa Rica. He was a major online poker player who played 2,000 hands per day at Pokerstars. 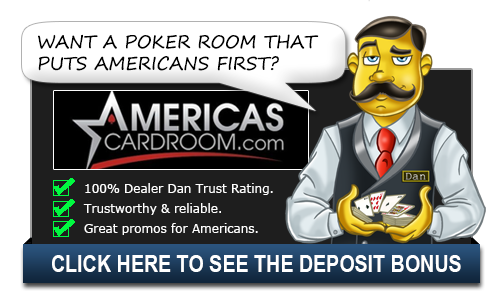 He is always interested in the “Sunday Million” and other tournaments of that ilk and will often invite a large group of friends over to play online at his house during these tournaments. Thus breaking up the long, monotonous day with some friendship. He had tremendous online success before the World Series of Poker as he was said to have made over $550k online in the year before making that final table. He had recently had a turn of bad luck though and sought a financial backer for the WSOP. Eric Haber and Cliff Josephy paid his entry fee in exchange for half of his winnings. Cada would come out strong in the World Series of Poker in 2009. He had three cashes prior to the main event and had already made quite the name for himself. After day 1C of te Main Event, he was the tournament chip leader. He’d ride that stack all the way to the final table, but at that point he was down to the fifth largest chip stack. He actually got down to just four big blinds in the tournament and needed two miracle all-ins to stay alive. He went all-in with pocket threes against jacks and flopped the set. Then went all in with a pair of twos against a pair of queens, he again flopped a set. He’d go on to win over $8.5 million and become the youngest WSOP champ in history.